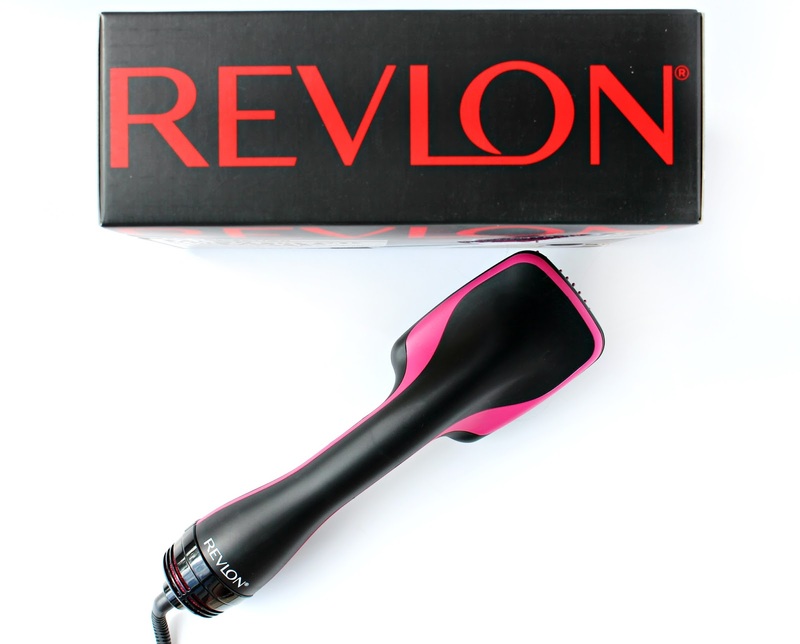 Revlon Pro Collection Salon One Step Hair Dryer + GIVEAWAY! Hello my lovelies - Not only is it May Bank holiday, it's also my 25th birthday! So what better day to share my favourite new styling tool along with a chance for one of my lovely readers to win one too. As much as I love having long, thick hair drying it has always been my idea of a nightmare! I'm often unable to dry it evenly without having to do some sort of a gymnastics sequence to get all areas dry, so it's safe to say I was thrilled when Revlon got in touch about their amazing Revlon Pro Collection One-Step Hair Dryer and Styler. As I mentioned I have very long and thick hair which has a tendency to get coarse and dry throughout the lower lengths yet slightly weighed down and oily at the roots. I often find that drying my hair makes it a bit "Fly-away" and even though I deal with it, I much prefer smooth but bouncy locks, which is exactly the result I get from the Revlon Paddle Dryer. Plus, I'm so excited to be able to give one of these amazing tools away to a lucky reader! Combining the power of a dryer and the lovely smooth effect that you get from a paddle brush, The Revlon Perfectionist 2-in-1 Dryer delivers smooth, blow-dried hair that is full of vibrancy and vitality in half the time of a normal dryer. Its innovative design also allows you to blow-dry the back of your hair with ease, which personally I always find hard to do. It really is a great product to create salon looking hair time after time without the hefty price tag of going to a Salon. The dryer features a conditioning ioniser, which ensures that any static or fly-aways are smoothed for the ultimate finish. 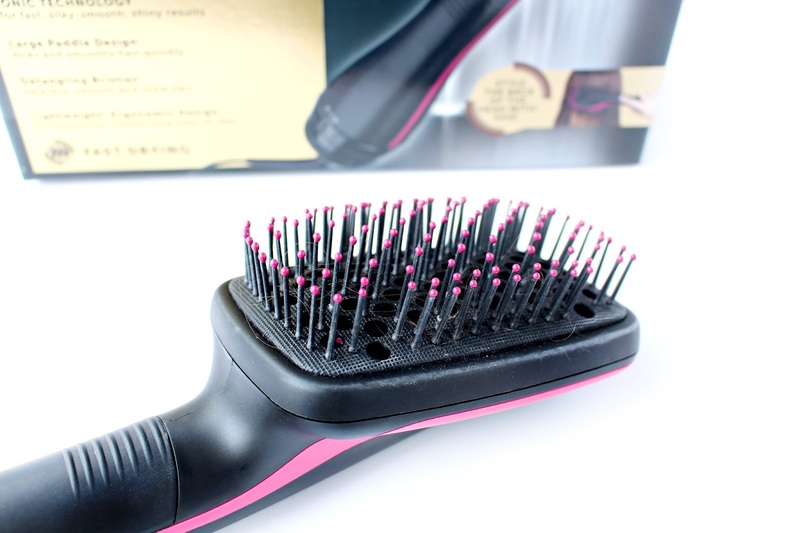 It also has two heat settings plus a cool shot button and comes with a fantastic flexible tangle-free brush head, with massaging ball tips - As you can see I've already put it to good use, I just couldn't wait. I have really enjoyed using this dryer and I have to admit I was slightly sceptical on how the brush would work on my troublesome hair-type and I have been pleasantly surprised. I am able to brush through my hair and definitely find that the brush head is good at de-tangling! I personally still like to use my wet brush first, as I do get some serious tangles in my hair. However, the results I'm left with are really impressive! I've actually had a few comments on my hair since using this dryer on how shiny and sleek my hair looks. I really like the fact that this works with longer hair and it isn't too heavy to hold either, I can also imagine this would work amazingly well on a lot of other hair types too! I'm SO excited to be able to offer one of my lovely readers the chance to win this fantastic styling tool. Please use the widget below to enter - Good Luck! Im a super duper busy mum and would love to style my hair differently - currently just scrap it up into messy bun!